August Issue 126 - On Sale Now! 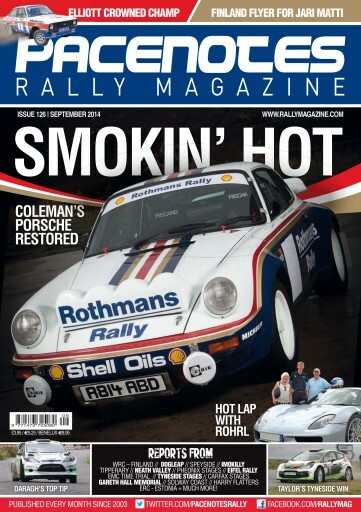 SMOKIN' HOT… Our front cover features the fantastic restored ex Billy Coleman Porsche 911… also on the Porsche theme, we get an exclusive ride with rally legend Walter Rohl around the 'Ring' in the amazing Spyder 918 supercar… enjoy both feature articles. Martin Holmes looks back at Rally Finland with his wrap up, he then also retrospectively looks back to his memories of Rally Australia in 1989. On page 38-40 we feature a full report & pictures from the Neath Valley Stages where Nick Elliott secured his WWRS Title!